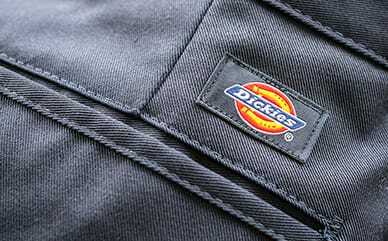 It’s time to get serious about pockets with Dickies’ Denim Zip Front Chore Coat. Constructed for protection, comfort and durability for many jobs, this denim jacket will be your new go-to. The corduroy collar provides a little style, while keeping it professional and masculine. Four deep patch pockets and an inside pocket make this jacket a storage dream.